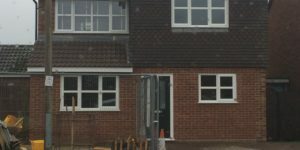 This property had a single story front extension in order to create an open plan dining room and kitchen, coupled with a downstairs bedroom and additional bathroom. The double story created a fifth bedroom. This project was a conversion of the old garage (on the right as you look at it). 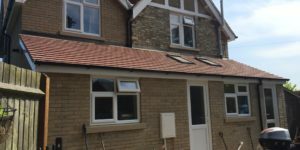 We extended across the front of the property and created a fourth bedroom above the extension where the garage used to be. 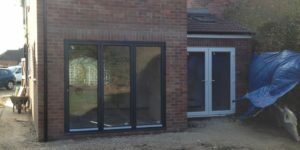 This single story extension in Colchester featured a vaulted roof and fitted bi-folding doors. 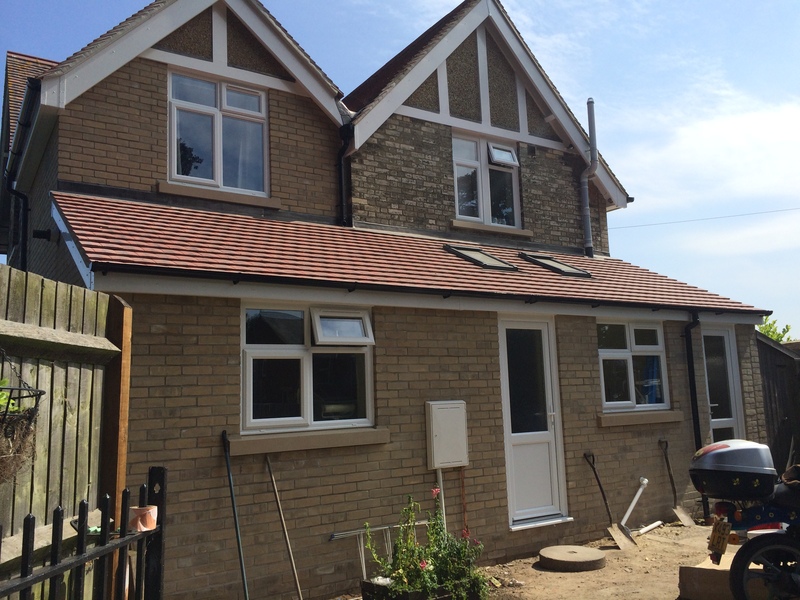 This single story block extension was finished with Hardi Plank and internal works, including a new kitchen. A new garden wall and step were built with a render finish to match the new extension. We converted this property from a three bedroom house with downstairs bathroom into a four bedroom house with upstairs bathroom. 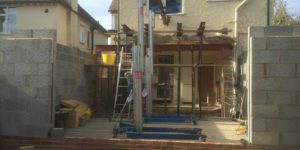 This included multiple new windows added into the existing house and new bi-folding doors. There are before and after shots below.